The former I. Brown Bros. furniture store and two other dilapidated structures have been demolished to make way for a new Walgreens pharmacy on Kings Highway East. You've heard of "A Tale of Two Cities," right? How about "Two Tales of a Town?" Charles Dickens' classic novel may not be the perfect analogy, but it was my first thought after reading about the to-do over a plan to build a Walgreens pharmacy on the edge of Southport -- the western "gateway" to town, as it were. OK, we may not have aristocrats and peasants in our town, but how two distinct economic classes here view their worlds is not unlike Paris in the late 1700s. And both groups are being affected by the Walgreens chain, which wants to open two stores in Fairfield -- one on the west side, another on the east side. On the west side, the chain is proposing to move its Westport store just over the border into Southport on property at 3553-3571 Post Road and 886 Kings Highway West. A 9,000-square-foot building would be constructed on the site. The developers propose "robust landscaping," according to the application, as well as safety measures. Despite assurances by the developer's representatives that Walgreens would be a good neighbor, Kings Highway West residents want none of it. At a recent informational meeting organized by the Sasquanaug Association, neighbors told the developer they don't want the drug store anywhere near them, citing traffic concerns, an adverse effect on their property values and an objection to changing zoning to accommodate the project. They never bring up, however, that the Garelick & Herbs gourmet food store also is relocating from Westport to a site adjacent to the Walgreens one under a separate project. Those same people overlook the fact that their neighborhood already is a commercial area, and for many, it was when they bought their houses. That section of town once was home to the Pequot Motor Inn -- widely known as a "welfare motel" -- right on the corner of Center Street and Post Road. High-end condos are there now. Furthermore, it doesn't help the neighbors' cause when they resort to name calling. (Why do people feel they need to denigrate a debate by calling others names?) One of the speakers at the meeting referred to the principal in the project's development company, native Fairfielder and former Selectman Sherri Steeneck, as a "bimbo." Really? Just for the record, Steeneck has been a dedicated public servant, giving her time and expertise on numerous boards and commissions. She even served for a time as the acting first selectman following Ken Flatto's resignation and before Mike Tetreau was appointed. She wasn't exactly thrilled about it, but took the job because her town needed her. That's not the description of a bimbo. Now, let's move to the east side of town -- the other gateway to Fairfield. Walgreens is in the process of redeveloping another blighted property in town -- the site of the former I. Brown Bros. furniture store and two dilapidated structures that were home to "adult entertainment" enterprises at the corner of Jennings Road and Kings Highway East. 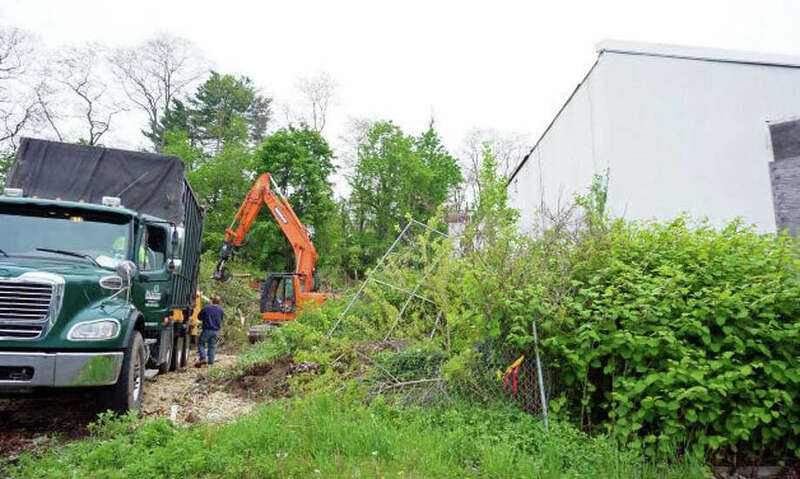 The residents in that blue-collar area have said nary a word about the project, which, we are thankful, would remove a long-standing eyesore and improve an often-neglected neighborhood. Kings Highway East also is a busy commercial area, with national chain stores and small, locally owned businesses. Side streets are home to many longtime residents. I suspect the neighborhood residents haven't worried about the Walgreens project for two reasons: one, a blighted property is being redeemed, and two, they have bigger fears. They are most worried about a proposed apartment complex at Fairchild and Berwick avenues they say would exacerbate the flooding to which the area is prone. Even the police chief voiced his concern that emergency vehicles would have difficulty maneuvering in the dense neighborhood. Those are real concerns, especially when one remembers that a resident died in a flash flood in the area a few years back. According to an article in this newspaper, the Federal Emergency Management Agency designates the area as being at a high risk for flooding. Plans by the state to alleviate flooding were approved in 2007, along with $17 million in bonding to cover the costs. But the bonding was rescinded the next year. While I do question the need for more drugstores in town -- my rough calculation says we have at least 10 -- what's really needed in this discussion is a little perspective.